By now many of you might be wondering why confipost does not get updated regularly as it was in the early days. Well, the reason is because we no longer just want to publish random news, instead, we are planning on creating something that adds more value to our users. As you can see in well detailed guides such as the best air fryer reviews by smarthomeradar.com and this other one on smart video doorbell reviews and buying guide from smarthomeradar.com also. We want to emulate this style type of writing, that adds more value forever to our users instead of random news that gets outdated few days after publishing. Currently, we are still planning out the new design and layouts, and will roll out an update once that is done.. We sincerely appreciate you for your continuous visit and support. Offering coverage of World + Nigeria Newspapers, Business, Tech & Startups. A hub for social news, blogs and original content in Africa. you can just scroll pass bye to any other article you find interesting. P.S: this post is to help those who are Unable to configure their phones (android, IOS, Blackberry), PC modems, to browse the internet. Below is a list and full review of all Major Nigerian network configuration setting. For those that were unable to configure their phones automatically, you can stick to the below options and steps to get it done. The settings below include manual configuration settings and MMS settings for all Nigerian major Networks. To manually configure your airtel internet settings for either your android device, blackberry or laptop pc, just navigate to the connectivity or packet data settings area of your device and fill as follows. Leave every other fields blank. If you use a blackberry device, just go to options > device > advanced system settings > TCP IP and fill with the required fields with the information provided above. Tick/check the Apn settings enabled and the APN authentication enabled buttons respectively. MTN Internet Settings (wap+Apn) Manual and automatic configuration settings. 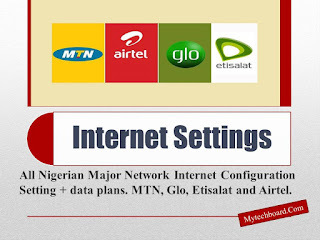 To configure your mtn internet settings for either your android device, blackberry or laptop pc manually, just navigate to the connectivity or data settings area of your device and fill as follows. Leave every other fields blank or empty. If you use a blackberry device, just go to options > device > advanced system settings > TCP IP and fill with the required fields with the information provided above. Tick or check the Apn settings enabled and the APN authentication enabled boxes respectively. Glo Internet Settings (Apn+Wap) Automatic and Manual Internet configuration settings. If your device is one of the smart tech gadgets/ devices, then you will automatically be configured without even doing a single thing.. All it takes is just insert your glo sim with data in it and click connect. If on the other hand it didn't turn out that way, then heres a simple method to receive the Glo internet settings on your phone to browse on Glo. Send PHONE MODEL to 927 I.E Nokia C2 to 927. *Glo Manual Internet Configuration Settings and Apn. To get your Glo operating device configured to browse the internet, for either your android device, blackberry or laptop pc manually, just navigate to the connectivity or data settings area of your device and fill as follows. Leave every other fields empty. If you use a blackberry device, just go to options > device > advanced system settings > TCP IP and fill with the required fields only. Using the information provided above. Also, tick/select the Apn settings enabled and APN authentication enabled boxes respectively. Etisalat Internet Settings (Apn, Wap &Web) Manual and automatic configuration settings. From the Engineering team of Etisalat. Your etisalat-branded usb modem or data card has already been configured so you do not have to worry about that.  if you are not using an etisalat-branded device, you can request for etisalat’s internet browsing settings (also referred to as APN settings or packet data settings on some phones) by typing the word settings as an SMS and send to 790, its free of charge.  also, if you currently enjoy internet browsing using your 3.75G enabled handset on easyblaze, chances are that your handset is already configured to use etisalat’s data network. Either ways, you may however send settings to 790 to be double sure! *Etisalat Manual Internet Data Settings and Apn. You can also send the word “settings” to “790” to push manual settings in text format to phones that cannot be configured over the air. 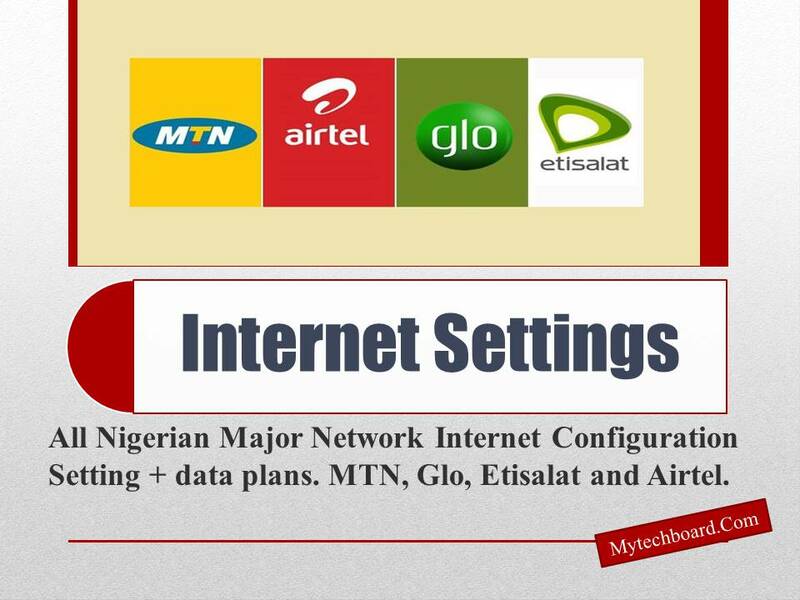  Tablets, Laptops and Pc modem device automatically receives the mtn internet configuration settings and browses straight away.. Otherwise, you get a message requesting you to save the settings to enable you use them.. All you do is click "save"
List of the best infinix phones, prices, specs and features. Not clear about any of the settings? Want to contribute? Need more information? Then feel free to us the comment box below..
And don't forget to SHARE WITH YOUR FRIENDS ON SOCIAL MEDIA by using any of the social share buttons above or below..
It’s no more a breaking news that Capital One has teamed with Amazon to allow owners of Amazon’s Echo smart speaker system pay their bills plus get other account information through voice commands. The Amazon’s Echo speakers use a voice-command service called “Alexa” to help users perform various tasks. Tasks like turning on smart lights, playing music or setting a kitchen timer. The Capital One service will be the first time a credit-card company has been involved, however. Capital One will let users check their credit card balance, review recent transactions, pay their credit card bill and perform other tasks simply by talking to the device. Amazing I will say..
Users can sign up for the service via the Amazon Echo setup app. There they can set up a checking account link if they want to pay their credit card balance via the Echo. Security concerns have swirled around Amazon’s Echo since it debuted, since the $179 device is always “on.” But Ken Dodelin, vice president of digital products management at McLean, Virginia-based Capital One, has assured that the service is secure. After a user says the key, the session with Capital One will be unlocked for five minutes, and then the user has to say the key again. The service will work via Alexa on the Echo, the recently announced $129.99 Amazon Tap and the $89.99 Echo Dot, which are both variations of the Echo speaker; and Amazon’s Fire TV devices. The much anticipated and so much talked about iPhone 7 which was launched not quiet long ago by the mobile manufacturing giant "Apple" has finally landed in/ selling in Nigeria as well as some other parts of Africa. You will recall that the release and launch of the Iphone 7 has since been creating so much buzz (especially in the Nigerian web world, perhaps, its because the country is facing recession and with the high conversion rate of the Dollar aginst the Naira or Naira against the Dollar. Anyone you can relate with **winks**). Finally, though not the first to arrive in the country, but has now finally landed openly in Nigeria with leading E-commerce store like Jumia having just few stocks available. 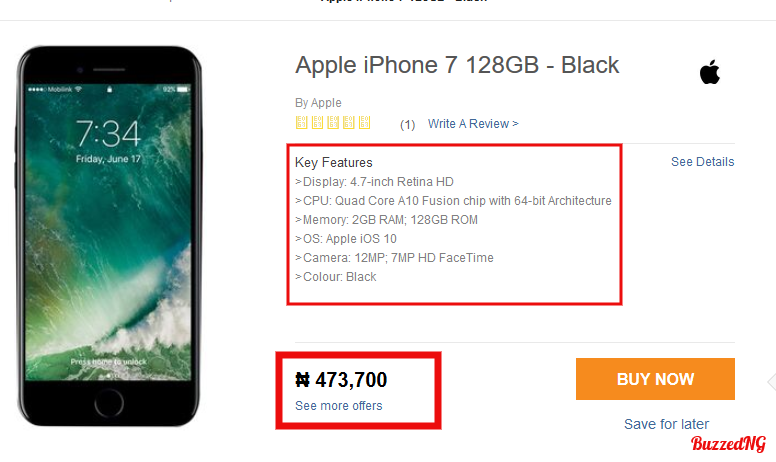 The Iphone7 has since arrived Nigeria and has been listed in the Jumia Nigeria and Kenya stores respectively..
How Much is the Iphone7 Selling in Nigeria? Hmm.. Honestly, the price will shock you. Yes I know, everyone has since been talking about the price been able to buy a land in some part of the country, but none knew exactly what it will go for.. but true sha, it can get you a land in some part of the country. Although this might seem too much for a smartphone for an average Nigerian, it is however worth it for others and yes, they will certainly go for it. 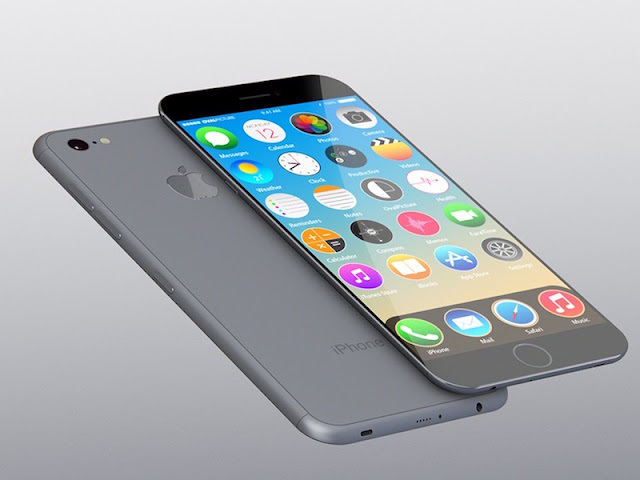 If you fee the Iphone 7 is a good fit for its price in Naira, then go for it, if on the other hand you think its too much, you can just swallow some saliva and read some other interesting news on BuzzedNG. Finally, the iPhone 7 is now available in Nigeria and Kenya slots, All what you have to do, is make your purchase via the Jumia Ecommerce portal and it will be delivered to your doorstep. Where to Get Genuine and Original Iphone 7? If you have any question or inquiries to make about the Iphone 7, kindly make use of the comment box and we will get to you as soon as possible. Found this breaking? Funny? Don't keep it to yourself, share it with your friends and family members on your social circle using any of the social share buttons found on this page. You can now run Ios apps on your android devices in a matter of time. Ever admired that programmer you met somewhere some time ago and wished you were him or her? Not a big deal, if you have ever and is still dreaming of becoming an android app developer, then there are some things you should know before you even consider trying to start. One unavoidable step in becoming or learning to program / develop an app, is knowing the very basics of how a computer works. The reason for this is because; let’s face it, if you are going to be developing apps, you need to have some idea of how a computer works. Yes, you need to know some key things and NO; you don’t need to know everything. but the fact still remains, and that is, you do need to know how the computer actually works, how a program works, what that program is made of and you need to understand some of the basic terminology used in the industry – bits, bytes, conditionals, loops, etc. So, your very first step is to do a little research and familiarize yourself with these things. Thank God for Google. Hopefully, you should have learned some of the basics as stated in the very first step. Now it’s time to dig that little bit deeper and find out how today programs have been written with speed and efficiency in mind. You should or preferably must learn Java programming because that is the core of the Android language. Java is widely used so you won’t find it difficult to get a handle on it and, once you have learnt some of it, move on to object oriented programming. When you understand how both of these work, you are ready to start narrowing it down to the world of Android. So, you have learnt a bit about how computers and programs works plus you also know something about Java and object oriented programming. 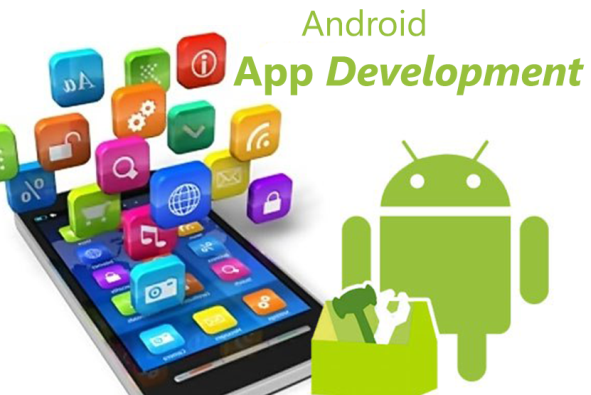 Then you are now set/ prepared to get into the finer points of developing an app for Android. One of the best things about Android development is that just about everything you need is packaged up neatly into one SDK or Software Development Kit. Like other platforms, Android also comes with an optimized IDE – (Integrated Development Environment). So, all you need to do is familiarize yourself with the methods and the tools that Android supplies you. The most important thing, I mean; something that is very effective is learning what you can about Android’s architecture. Each platform is different in the way it does things so you should get yourself up to scratch with the basics – it will help your efficiency and code writing in the future as well. Nothing will improve your skills as much as doing as many projects as you possibly can. It actually doesn’t hurt to just set as many new projects as possible and test different things/ steps with each. It’s yours; no one is going to yell at you for failing while practicing. Got anything more to add? Or perhaps you disagree with any of the points listed above? No need to burn out; let’s address it via the comment box below. And YES, how about sharing this with your friends, family or loved ones interested in becoming an android app developer on social media? You can simply do that by using any of the social share buttons above or below right here on this page. SHARING IS CARING. 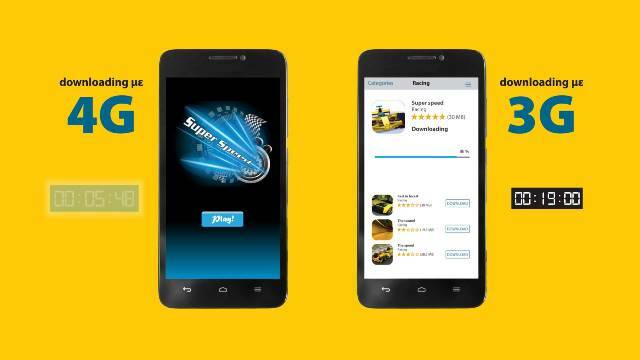 Run IOS Apps on Android Devices About to Become a Reality. No doubt, a day where Android users can have full access to Apple’s App Store is just around the corner and may be with us sooner rather than later. Six students at Columbia University have developed Cider, a piece of software that enables users to access a wide library of IOS apps across their Android devices. As well as bridging the gap between both operating systems, Cider has also been created for users to have a single device for their app content, instead of needing multiple devices. The project isn’t currently without its limitations however, with members of the research team pointing out that Apple apps tend to run slightly slower on Android devices and there are performance issues with Bluetooth and GPS systems not working properly. Samsung Galaxy7: A Time Bomb Patiently Sitting in your Pocket Just Waiting for the Perfect Time to Explode. 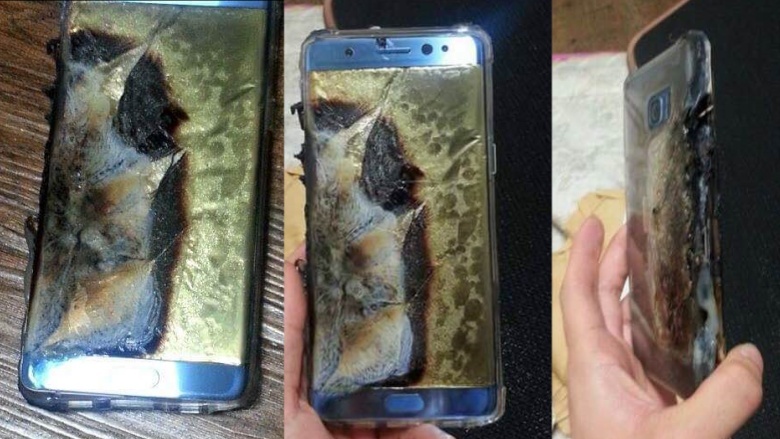 Samsung galaxy S and note 7 respectively has since generated a strong buzz on the world wide web with its outrageous mode of exploding and causing burns+ afflicting pains on people. 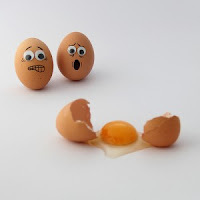 Samsung has been sued for numerous cases of afflicting 2nd and 3rd degree injury on people. Samsung recalls all of its galaxy s7 devices worldwide as Airlines are equally banning the use of Samsung galaxy note 7 devices worldwide. Samsung's flagship models; Galaxy S7 and Galaxy S7 Edge accounted for 16 percent of all smartphone sales in the US, while iPhone 6s and iPhone 6s Plus accounted for 14.6 percent of sales in three months ended May. Even though Apple's flagships were launched in September last year and those of Samsung in March this year, this can be considered a worrying sign for the Cupertino-based company as it showed a trend of maintaining lead in market sales despite the launch gap till this very year. In a warning message issued few days ago by the US Consumer Product Safety Commission, it warned owners and users of Samsung Galaxy7 devices to “power them down and stop charging or using” the devices. You will recall that Samsung has already issued a recall of sorts, “advising” customers to take their Galaxy7 devices to a store and exchange them for a temporary phone, and eventually a non-exploding device. You will also recall that Some airlines have already banned and many is still banning + ready to ban passengers from using or charging their Note 7s while in flight. No one knows yet, but this may probably lead to a complete ban of the Samsung galaxy7 devices across major or all airline globally. Not withstanding, you will agree with me that outside the whole bombing, burning and blowing off, of the Samsung galaxy7 series (S7 and Note7 respectively), its specs still remains one to beat by other mobile manufacturers out there in the competitive mobile market. Top 10 all time performing best data recovery tools for mac and other OS users. You might want to share this with friends and family on your social circle... Use any of the social buttons found on this page. Let's hear your thought on this. We just hope samsung wont make same mistake on other galaxy models like the Samsung galaxy s9 and s9 edge to be released. Mtn 4G LTE: A Scam or a Completely Confused Markert Strategy From MTN NG? Upon Acquisition of the Visafone Network, MTN NG promised all data plans and bundles + tarrifs would remain the same, as you can see on their official page here, which obviously turned out to be a FAT LIE as they completely destroyed the Unlimited Internet access first granted to the Visafone Blackberry Users. Which was the star attraction of the network. (Tarrif plans still remains the same though). Upon this trait of betrayal, the telecommunication giant rolled out a data plan which was tagged "VSF" a short accronym for the word "Visafone" and encouraged all Visafone migrants to start using this plan specifically made for them. Conspiracy Of The MTN 4GLTE and VSF Bundles. Not quiet long, MTN NG rolled out its 4GLTE plan, which has made subscribers ponder whether subscribing to these plans will super charge their internet speed. No wonder there has been some debate online as to whether the MTN 4GLTE is an alien network that can't be accessed by 3G UMTS network. Below are some key facts you didn't know about MTN 4GLTE. An average 3G network in an area with proper network coverage is as fast as [if not faster than] the proposed 4GLTE in many major locations/cities. The reason for this is simple, Nigeria is still welcoming the 4G network. An average sim card in a Nokia 3310 phone can access and buy any of the data plans available by dialing *444#. When you dial the *444# to subscribe to the 4G LTE plan, the "VSF" you see there means "Visafone" which was introduced immediately after the acquisition of the visafone network. MTN VSF users can no longer subscribe to the normal mtn blackberry bundles using "21600" as they have been restricted to use the *444# option solely meant for them. 4G or no 4G device. In a swift reaction to the MTN 4GLTE, while some users lament saying the data plans are just too expensive others claim it is a way for MTN to make public again their Failed VSF data plan which obviously didn't get attraction from Visafone users who migrated to the MTN Network. Let's hear your take on this. You might want to equally share this with friends and family on your social circle using any of the social share buttons. After the purchase, everyone wondered what benefit this would add to Facebook since whatsapp was a free to use social chat app.. Time continue to roll pass and there began to unfold few little noticeable changes in whatsapp..
"the new change is meant only to help improve the relevant ads on Facebook and WhatsApp, as well as helping to improve the messaging platform. Many of the social media platforms users (especially the tech bloggers) including this one from ExpressUK , have been sharing and creating awareness to the general public, telling them how they can opt-out of this WhatsApp’s new changes, to prevent the messaging service from sending their phone numbers to Facebook. 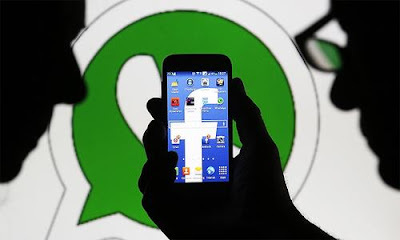 However, it has now emerged that though you might have chosen not to share your account information under this WhatsApp’s latest policy change, you are not in any way guaranteed that the messaging platform will not share your phone number with Facebook. In a recent interview with a Facebook spokesperson by the by Hindustantimes (an Asian based newspaper) it was confirmed that even if you opt out, you are still not 100% safe. “If you choose to opt out, this means Facebook won’t be able to suggest friends or improve the ads you see based on your WhatsApp number,” --spokesperson. However, the quick messaging platform made sure to re-assure its users that their privacy is still of great concern to them. 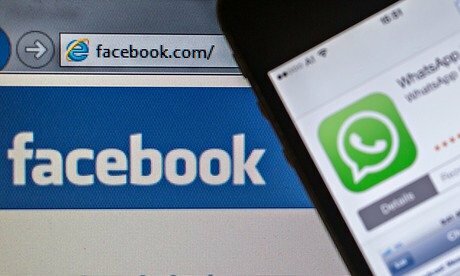 “WhatsApp has become even more private and secure since joining Facebook, as we launched end-to-end encryption, which ensures messages can only be read by people in the conversation. WhatsApp can’t read them and neither can Facebook.”. While also promising that there will be no form of third party banner ads on global chat messenger whatsapp..